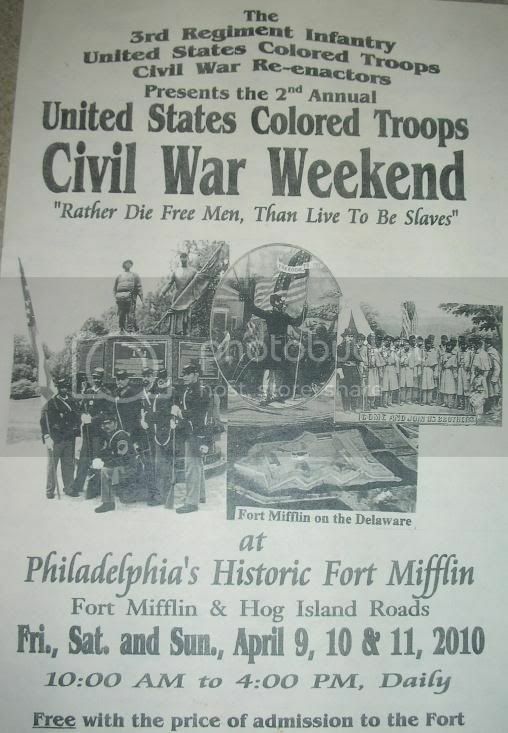 An amazing event will be taking place at Fort Mifflin this weekend. Colored Troops Civil War Reenactment. 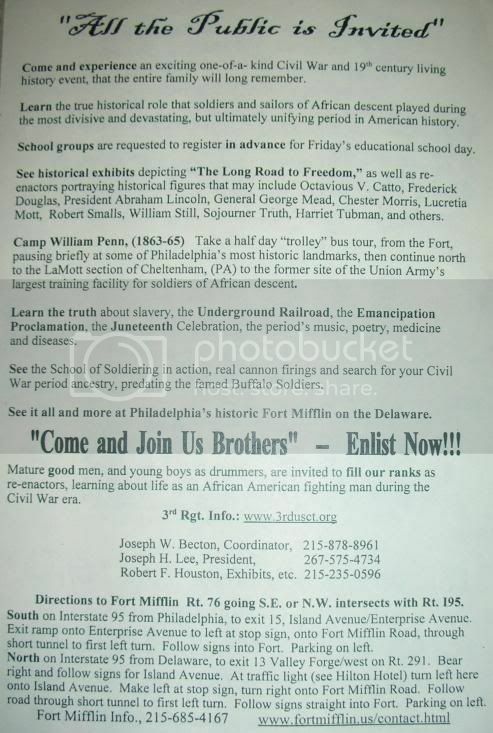 The program is based on the Union Army's Colored Regiment (in more archaic terminology). Friday to Sunday - tons of activities and exhibits! Not to be missed!